Cruz, a Texas Republican, is at the forefront of revamping the U.S. Senate's internal sexual harassment policies. Last year he joined a New York Democrat in introducing legislation proposing such an overhaul. WASHINGTON - U.S. Sen. Ted Cruz was the lone Republican to sign a letter released Thursday by male senators calling for an overhaul of sexual harassment policies in the U.S. Senate. The letter, addressed to U.S. Senate Majority Leader Mitch McConnell of Kentucky and U.S. Senate Minority Leader Charles Schumer of New York, affirms support for an earlier letter sent by the women of the U.S. Senate in March calling for an overhaul of the chamber's workplace misconduct rules. "If we are to lead by example, the Senate must revise current law to give the victims of sexual harassment and discrimination a more coherent, transparent, and fair process to tell their stories and pursue justice without fear of personal or professional ruin," the men's letter stated. "If we fail to act immediately to address this systemic problem in our own workplace, we will lose all credibility in the eyes of the American public regarding our capacity to protect victims of sexual harassment or discrimination in any setting." All 31 of the Senate's Democratic men signed the letter, along with Cruz, making him the most out-front male Republican on the issue. 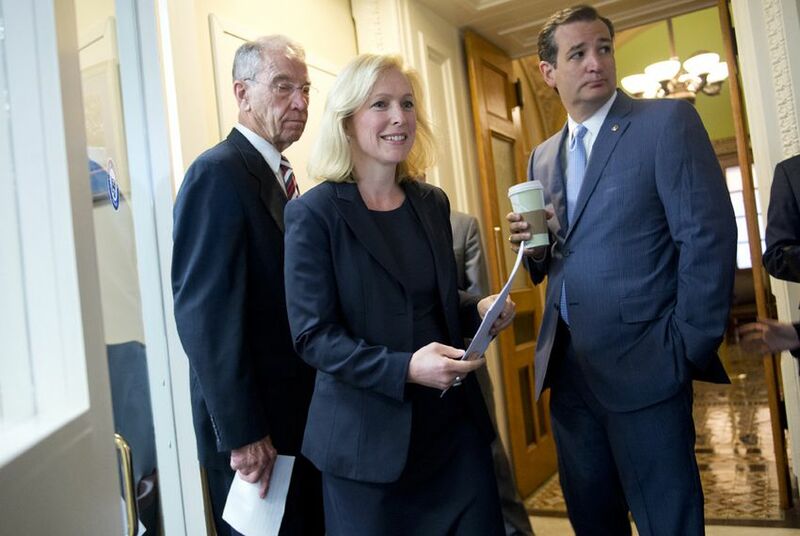 Cruz previously joined U.S. Sen. Kirsten Gillibrand, a New York Democrat, late last year to push for an overhaul of sexual harassment policies in Congress as the #MeToo movement swept through both chambers at the U.S. Capitol.